Government of Himachal Pradesh has expressed interest in the development of golf courses as future tourist destinations with an eye on infrastructure and the sport as well. Prem Kumar Dhumal, Chief Minister, said that the State Government would give a boost to strengthening of golf infrastructure development by creating more golf courses at different places in the State. The same would be linked to tourism promotion as well. He was addressing the prize distribution function of the Times Group Invitational Golf Tournament organised at Naldehra Golf Course by The Times Group in association with the Himachal Tourism and Audi India. The Chief Minister mentioned that the Naldehra Golf Course was the choice of renowned international players of the country. He said the State Government had removed the road from the golf course to facilitate players and so that National and International tournaments could be organised. 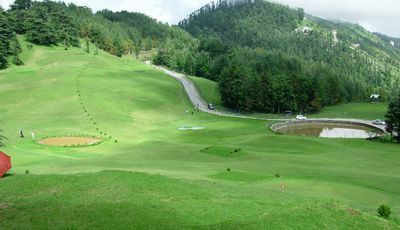 He said that in addition to Naldehra Golf Course and Annandale Golf Course, the State Government was contemplating to develop more golf courses at Manali, Dharamshala, Dalhousie and Baddi-Barotiwala-Nalagarh area so that besides local golfers, outside golfers could also be attracted to visit the place. He said that with the creation of more golf courses tourism activities would automatically get boost. Prof. Dhumal said that the State Government was endeavouring to develop the Annandale ground into a multipurpose stadium so that it could play host to other games as well. He said that with a view to attract more tourists, sports activities were being promoted and that efforts were afoot to create quality sports infrastructure to cater to the requirements of the sportsmen and sports lovers visiting the State. He said that a record 1.32 crore tourists had visited Himachal during preceding financial year, including 4.53 lakh foreigners, which was the highest in the country. The count is expected to increase during current financial year since added attention was being paid towards creating required infrastructural facilities to the visitors. Chief Minister said that golf had not been a game played by majority of sportsmen and was limited to only selected people and places which, which would change with the expansion of the golf courses network would be motivating more youth of the State to come forward to represent the State in different national and international level competitions. Shri A.N.Sharma, Captain, Naldehra Golf Course welcomed the Chief Minister and apprised him of the events organised during the tournament. 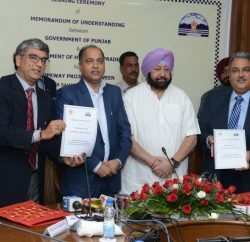 Shri Ganesh Datt, Vice Chairman, HIMUDA, Dr. D.S.Manhas and Shri I.D.Bhandari, Director General of Police, Lt. Gen. K.Surendra Nath, General Officer Commanding-in-Chief, ARTRAC, Shri V.C.Pharka, Principal Secretary, YSS, Shri Onkar Sharma, Deputy Commissioner, other senior officers and golfers from different places were present on the occasion. Contents related to tourism in Himachal are interesting. 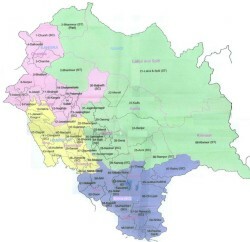 If possible please send a few photographs & latest on tourism in HP.